The Alpine regions of Switzerland house the most attractive ski areas in Europe. From Valais to Bern, Uri to Canton of Graubünden, thousands of people regularly spend their holidays in attractive holiday homes or apartments in order to make full use of the winter sports season. Your estate agent Engel & Völkers Switzerland provides an overview of the current market situation in the most popular Swiss ski resorts. The winter sports offer in the Valais often occupies top positions in relevant popularity rankings for ski resorts. Especially the slopes near Zermatt near the Matterhorn in the Upper Valais are very popular with skiers. For single-family homes in the Upper Valais, a number between 5 and 8 million CHF are called in good locations, while in middle locations you will find houses starting at 2 Million CHF. 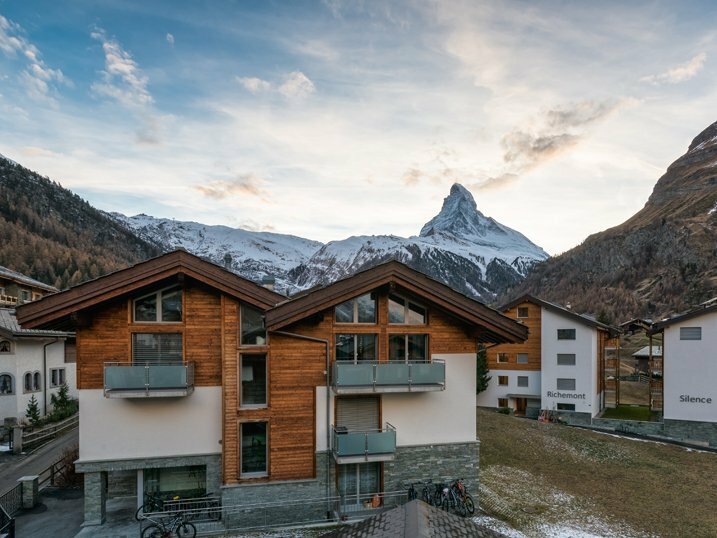 Due to the excess supply, slight price reductions are expected in the future, only the offers in top locations such as Zermatt can increase in price. There is also an interesting market development for Swiss ski resorts in the Upper Engadine around the famous premium resort of St. Moritz in the canton of Graubünden. The second home initiative of 2012 has resulted in a large number of new construction projects being realized since. This is now followed by a supply surplus, which manifests itself in falling real estate prices of 15 to 20 percent. However, their real estate brokers at Engel & Völkers Schweiz assume that the local price minimum of this development in St. Moritz, Celerina, Silvaplana and the surrounding communities has already been overcome, and that the price level will recover within the next three to five years. One of the reasons for this assumption is the release of local foreigner contingents: the number of foreign investments in Engadine ski resorts has increased significantly since then. Nevertheless, the acquisition of a holiday home or a second home in the Upper Engadin still proves to be a lucrative investment, as property prices continue to be comparatively favorable in view of the top location. Are you looking for a cheap house or an affordable apartment in a Swiss ski resort, the canton of Uri with the famous ski resort and holiday resort Andermatt is worth a second look. Due to the rural areas, the demand in Uri is declining, so that single-family homes here start at 350,000 CHF – and the trend continues to fall. The number of attractive ski resorts in Switzerland is large, as is the variety of properties to be acquired. Which one would be your ideal holiday home or your comfortable second home in a popular Swiss winter sports region? E-Mail or call us – we are happy to advise you!